Fascinating and elegant ancient villa with swimming pool. 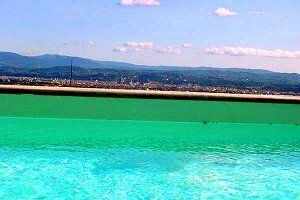 The villa is on the top of a hill, 8 kilometres from the Cathedral of Florence and it offers a fantastic panoramic view of the city of Florence. Accommodation for 8/16 people, Internet connection. 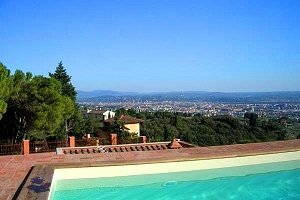 The villa (accommodation for 16 people) is on the top of a hill at the gates of Florence (8 kilometres from the Cathedral) and it has a dominant and panoramic position on Florence. 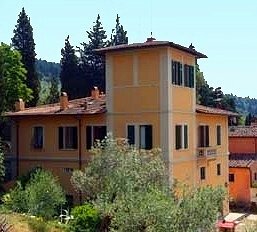 The building (end of the 19th century) is located in a garden cultivated with cypresses and lemon trees and it overlooks on typical Tuscan olive groves. 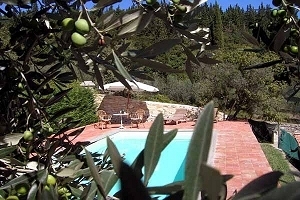 The villa has a swimming pool with circular stairs in order to make the access to water easier and a solarium area with beach umbrella and deckchairs. The villa has any kind of comfort. Among the included services there are satellite TV and air conditioning in five bedrooms; the villa can accommodate families with children and newborn babies. 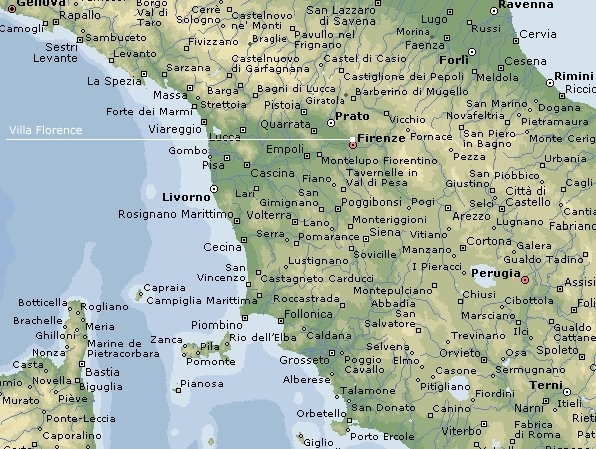 If requested, there are several additional services: wireless Internet connection, laundry, baby-sitting, cuisine courses, organization of visits to Florentine museums and out of Florence, taxi from villa-airport-station. 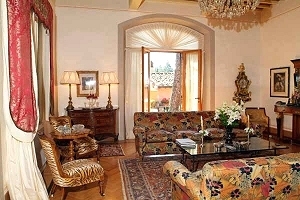 The villa is at 2 km from the station of Florence-Castello, from which it is possible to reach Florence easily. If requested, it is possible to park a car in the historical centre of Florence, in Piazza Santa Maria Novella. Near the villa there is the tennis club “La Limonaia” and a shopping centre with a supermarket, a pharmacy, a perfumery and a post office with a cash machine. The villa (8 double bedrooms and 4 bathrooms) has three floors. On the ground floor there is a dining room with an ancient stone fireplace, a stone kitchen and a big sitting room with satellite TV and stereo. In the sitting room there is the entrance to the panoramic balcony which has an arbour. On the ground floor there are also 4 double bedrooms (one of them has a little panoramic balcony), a bathroom with bathtub and a bathroom with shower. 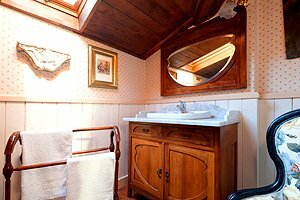 On the first floor there are 2 single bedrooms, a bathroom with shower, a fully equipped laundry and a freezer. 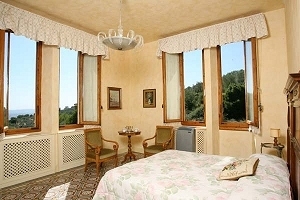 On the second floor, the little tower of the villa has been transformed in a suite, with 2 bedrooms, a bathroom with shower and a room used as study, reading room and music room.